Murrieta, Calif (November 13, 2012) – The Creative Bar, a leading Southern California design, marketing and advertising firm, today announced its recent Platinum and Gold National MarCom Awards for its work with local businesses Intense Cycles, Regalo Perfetto, and Temecula Valley Chamber of Commerce. This brings the total awards won for The Creative Bar to thirteen in 2012. 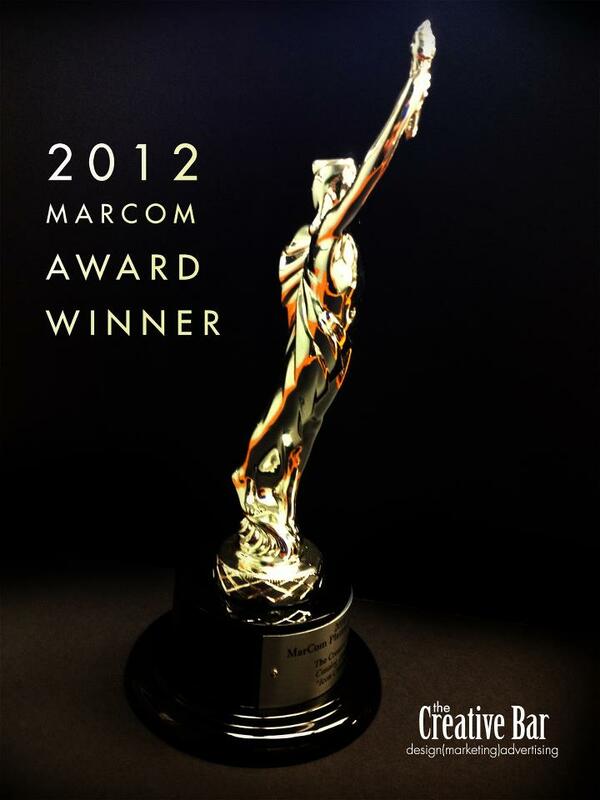 The MarCom Awards recognize outstanding creative achievement by marketing and communication professionals. With over 6,000 submissions throughout the United States, Canada and several other countries in the 2012 competition, entries came from corporate marketing and communication departments, advertising agencies, PR firms, design shops, production companies and freelancers. MarCom Awards is administered and judged by the Association of Marketing and Communication Professionals (AMCP). As part of its mission, AMCP fosters and supports the efforts of creative professionals who contribute their unique talents to public service and charitable organizations. Over the past several years, AMCP has donated over $75,000 in grants to support the efforts of its members. The money was used for marketing materials for homeless shelters, orphanages, day camps, community theaters, art centers, programs for the elderly and for child care and educational endeavors for the underprivileged. Judges are industry professionals who look for companies and individuals whose talent exceeds a high standard of excellence and whose work serves as a benchmark for the industry. Winners were selected from over 200 categories in seven forms of media and communication efforts- marketing, publications, marketing/promotion, public service/pro bono, creativity and electronic/interactive. The Creative Bar is an award-winning design, marketing and advertising firm specializing in company branding, print and web design, and public relations. The Creative Bar offers its clients inspiring concept and implementation with proven results. So far in 2012, The Creative Bar has won a total of thirteen (13) National Design & Advertising awards. The Creative Bar offers a seamless experience of top shelf services and refreshing, creative ideas. Some of The Creative Bar’s notable clients include: The Temecula Valley Chamber of Commerce, City of Temecula, Southwest County Boys and Girls Club, Intense Cycles, Promenade Temecula, Cal Baptist University, Cinema Audio Society, Hollywood Post Alliance , and The Latino Coalition. For more information about The Creative Bar, visit www.thecreativebar.com or contact them at 866-796-6307.